She’d been hunted, stalked, and forced by a murderer to keep a secret no one should have to live with. I’d made her a promise. Her freedom, my rules, no questions asked. I thought I’d kept my promise but I made a mistake—an inexcusable mistake. I was done playing games with the killer who murdered my wife’s parents and tracked her for sport. If he thought he was safe in a jail cell, he was wrong. No one puts out a hit on my wife and survives. This ends now. I will protect what’s mine…at whatever cost. 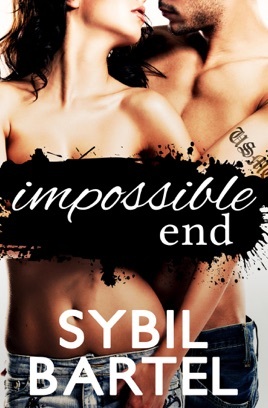 *Impossible End is the conclusion to the Unchecked Series. This novella is from Blaze’s point of view and is not a standalone. To get Blaze and Layna’s full story, please read Impossible Promise and Impossible Choice.